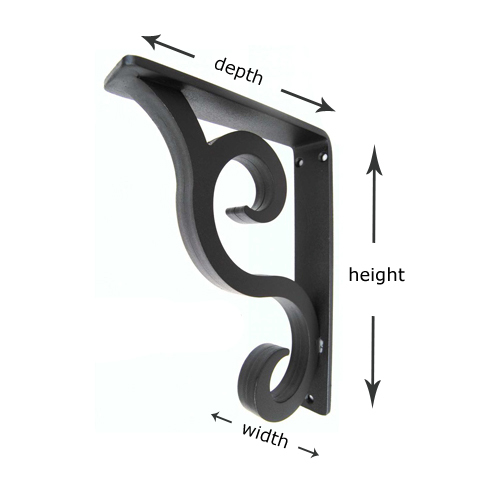 Elegantly designed and meticulously crafted, the 3-inch Keaton Wrought Iron Corbel is sure to add beauty and functionality from the front door to the back. 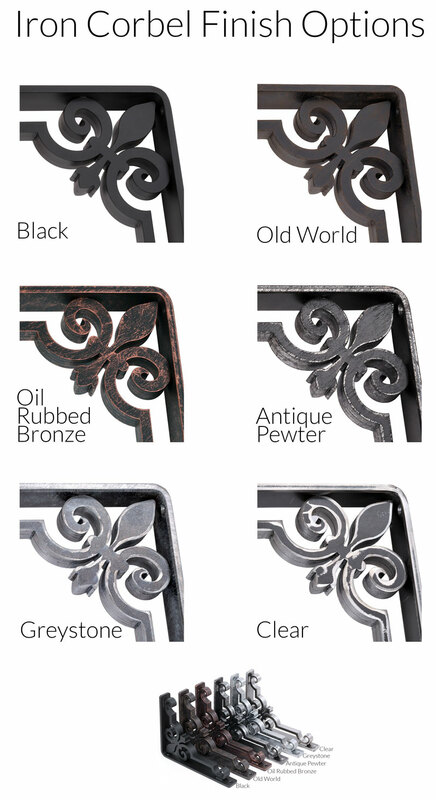 These great iron brackets will provide super sturdy, yet elegant support for shelving, granite or stone counter or bar tops, and of course, fireplace mantels. Choose from two sizes and seven lovely finishes. Don't forget to select top holes if you need those for shelves or a fireplace mantel.Note: This corbel has a 1/4" thick L Bracket and pre-drilled holes for mounting. If you need top mounting holes for shelving,please select that as an option.